The November 6 election is fast approaching, and the candidates and ballot measures are working hard to get your attention and your vote. 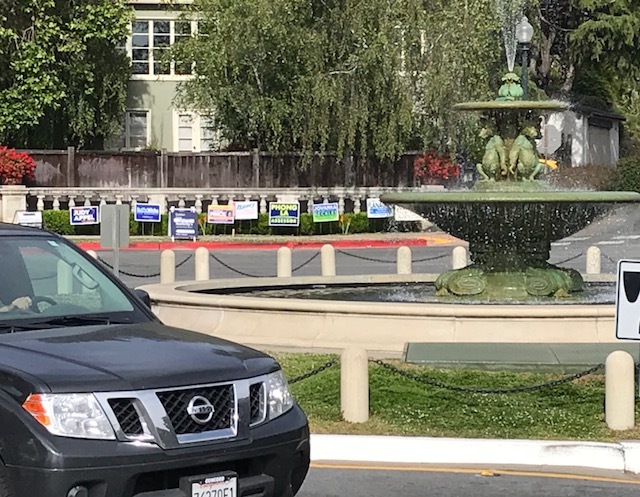 Campaign signs are popping up everywhere, including around The Circle — always a popular spot due to the high volume of traffic that moves through it every day. Please place any signs (and people) on the parking strips along the sidewalks around The Circle. Thanks.